Originally an Oxford street store exclusive, guardian of the forest is now avalible online and in selected stores. When I first visited the flash ship Oxford street store, I didn’t actually pick one of these bath bombs up, as I was determined that I wouldn’t like the scent even though I had never actually given it a sniff. 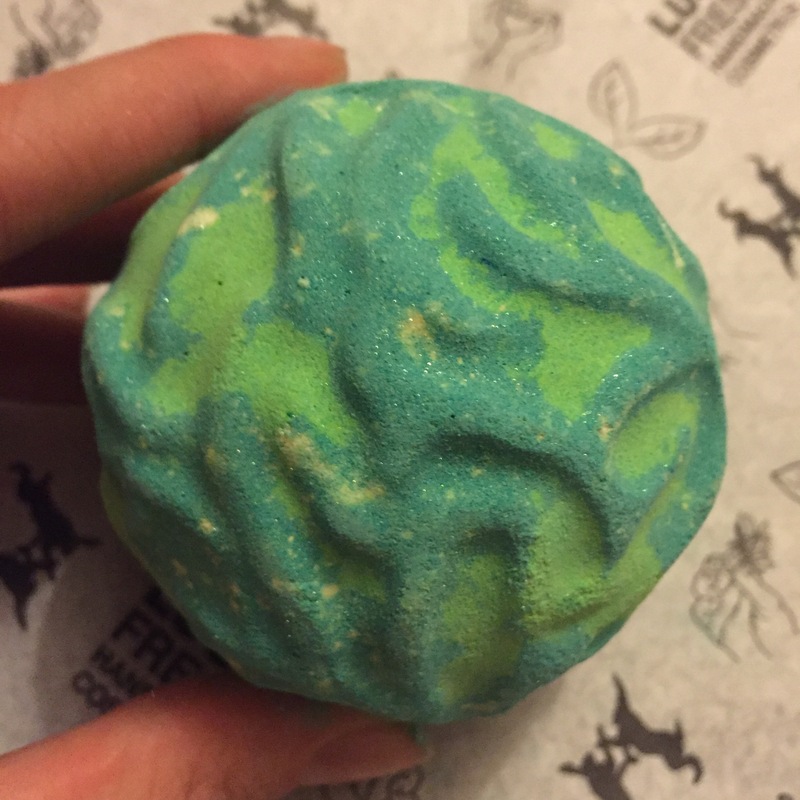 On my second visit I decided to give the Guadian of the forest bath bomb a little bit of my time and actually pick one up to have a look. This is when I realised how magical this bath bomb is! 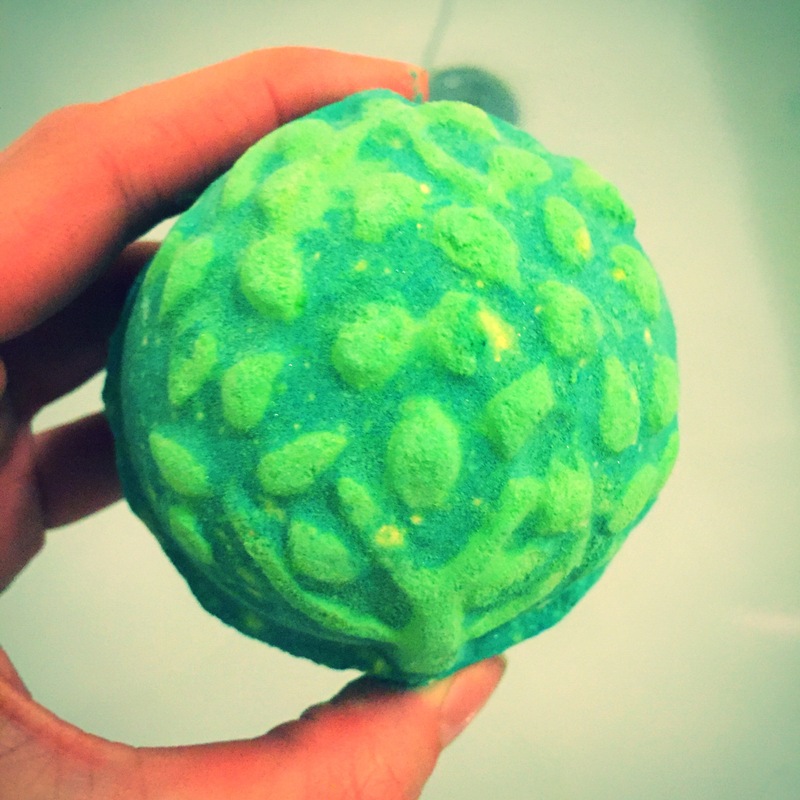 It is possibly one of the most intraucute and beautiful designed bath bombs that I have ever seen in a lush store. Boasting two different shades of green, the guardians of the forest is then apply cover in tiny little leaves. I just wanted to put this on a shelf and keep it there so I could display it’s incredible design. So I eventually decided to give the bath bomb a sniff and wow it wasn’t what I was expecting ! To say I’m the kind of girl who normally goes for sweet vanilla scents or sharp citrusy scents, I was completely won over by the guardians of the forest. It is very much an earthy smell but I was worried it was going to be a very ‘manly’ scent, it isn’t at all. Containing ingredients such as rosewood oil and oak moss absolute it has a very fragrant almost sweet note to it. 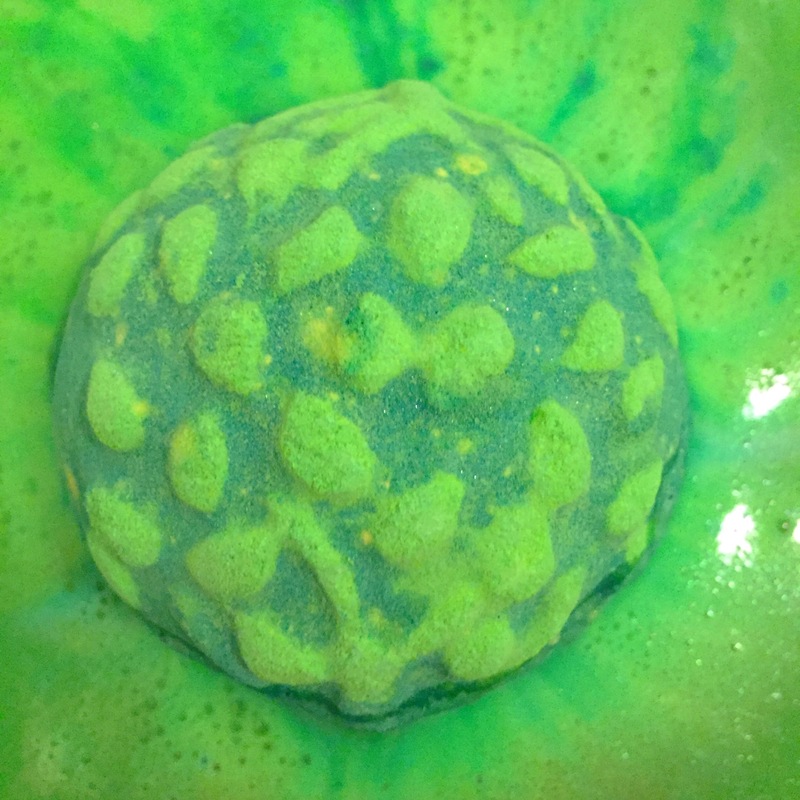 Once put into the water the guardian of the forest bath bomb fizzes away creating a layer of the most magical green coloured foam I have ever seen. 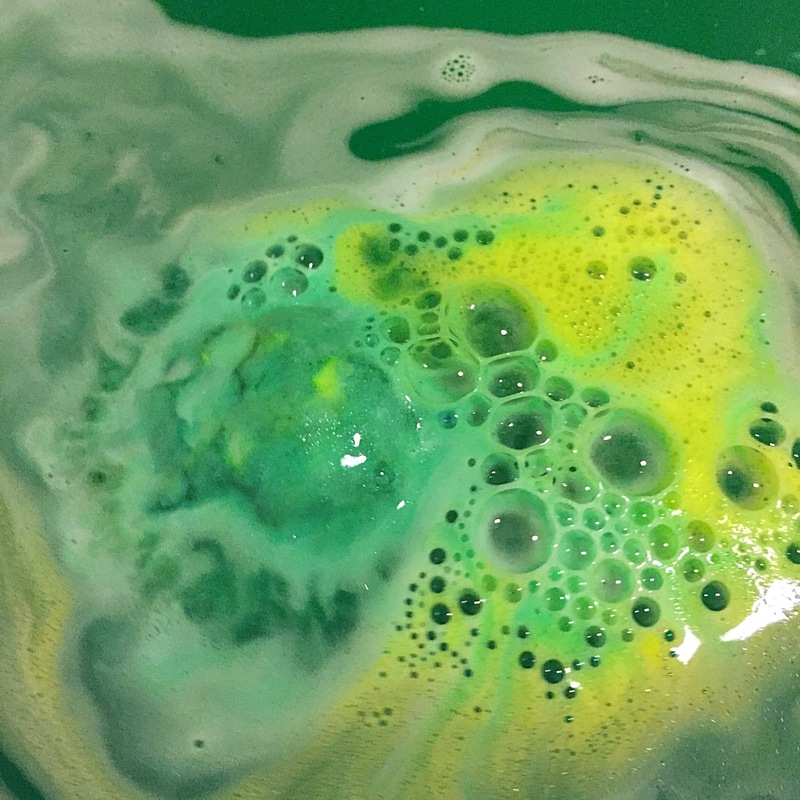 It is quite a slow dissolving bath bomb, but I felt this made it very relaxing, as I watched the two shades of green entwine to create a mystical and magical lagoon. I really wish I could put into words how stunning the colour of the water is but I just can’t find the words to describe it. Overall I’m very impressed with this bath bomb especially because I didn’t think I would like it. The scent stays on the skin for ages making you feel like a forest fairy and the show it puts on in the water is just magical! I will defiantly be stocking up on a few of these. Ingredients – Sodium Bicarbonate, Citric Acid, Cypress Oil (Cupressus sempervirens), Lime Oil (Citrus aurantifolia), Rosewood Oil (Aniba rosaeodora), Oak Moss Absolute (Evernia Prunastri), Cream Of Tartar (Potassium bitartrate) Water (Aqua), Sodium Laureth Sulfate, Lauryl Betaine, Perfume, Amyl Cinnamal, Benzyl Salicylate, Citronellol, Benzyl Benzoate, Limonene, Linalool, Spring Green, Frosty Holly and Yellow Lustre (Corn Starch, Maltodextrin, Synthetic Fluorphlogopite, Potassium Aluminium Silicate, Titanium Dioxide, Colour 19140, Colour 42090, Colour 47005), Colour 59040, Colour 42053, Colour 14700, Colour 45350. I’ve never seen this bath bomb before! Also I just restarted my blog and I would love it if you would check it out!